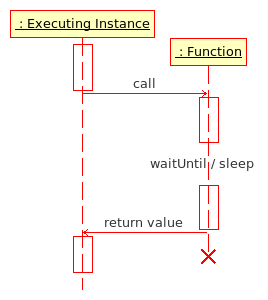 Parameters for functions are available to the function via the magic variable _this. There is no implicit declaration of function parameters in scripting, nor variable typing; all variables that are passed to the function must be accessed via _this. Common practice for defining parameters is done via the use of private variables and defined variables. Return values are provided by entering a statement without a trailing ";"